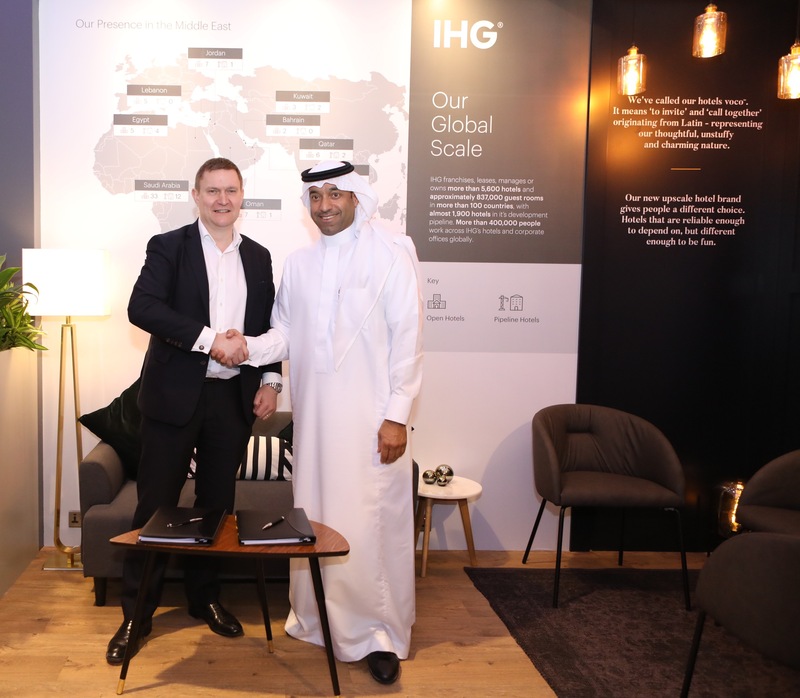 Denham, United Kingdom, 2019-Apr-11 — /Travel PR News/ — IHG® (InterContinental Hotels Group), one of the world’s leading hotel companies, has signed two franchise agreements including Holiday Inn®Madinah King Abdulaziz Road with Loulouat Al Madinah Hospitality and Holiday Inn Jeddah Al Hamra with Al Hokair Group. The agreements were signed and announced at Arabian Hotel Investment Conference (AHIC) 2019 in Ras Al Khaimah. The signings consolidate IHG’s strategy to expand its footprint across the kingdom, with its midscale offerings. Holiday Inn Jeddah Al Hamra will feature 253 rooms and a host of facilities for business and leisure travellers including three food and beverage outlets, six meeting rooms, and a business centre. In addition, guests will be able to take advantage of recreational facilities such as the outdoor pool, a gymnasium and a spa. Due to open in 2020, Holiday Inn Madinah King Abdulaziz Road will be strategically located near Al Haramain Railway Train Station and other major transport hubs. The 180-key hotel will feature 2,000 sqm of banqueting space for events and conventions, a business centre as well as a gym and two dining options. Given its location in the Holy City and close proximity to Knowledge Economic City, it is expected to attract both pilgrims and corporate travelers. Currently, IHG operates 91 hotels across 5 brands in the Middle East, including: InterContinental® Hotels & Resorts, Crowne Plaza® Hotels & Resorts, Holiday Inn®, Holiday Inn Express® and Staybridge Suites®with a further 37 in the development pipeline due to open within the next three to five years. * IHG most recently debuted its upscale brand voco™ in the Middle East with the opening of voco Dubai. This entry was posted in Business, Hospitality, Hotels, Luxury, Resorts, Travel, Travel Management, Travel Services, Travelers and tagged Holiday Inn, IHG, Jeddah Al Hamra, Madinah King Abdulaziz Road, Omar Samara, Pascal Gauvin, Sami Al Hokair, Saudi Arabia. Bookmark the permalink.